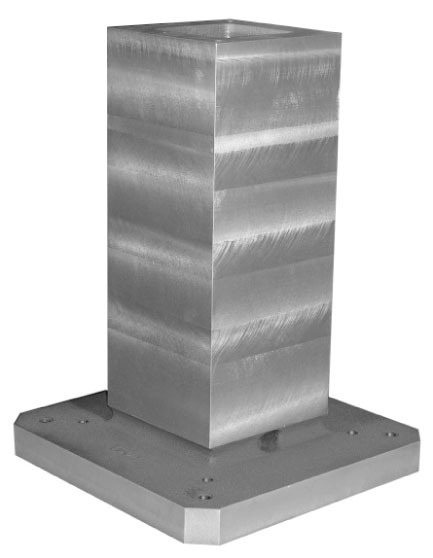 Pallet fixtures, also known as tombstones, tombstone fixtures or tooling blocks, provide a solid base for mounting vises, fixtures, or sub-plates. Made from one-piece, class 40 cast iron that has been stress-relieved. Base and sides milled flat, square & square with 0.001" in 12". 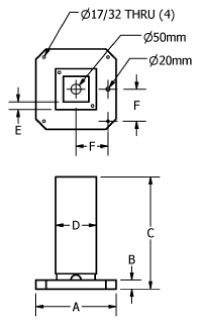 DIN mounting standard, JIS mounting optional. All square columns have drilled and tapped lifting holes in the top surface and coolant drain holes at the base of the column. Available standard as plain milled or custom made with your own hole pattern. A large number of standard size castings in stock. Other materials available upon request.